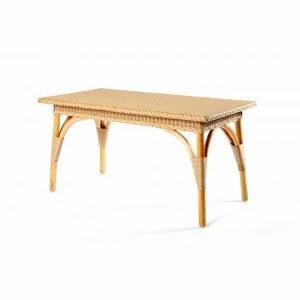 The Lusty Lloyd Loom Model 7128 is the perfect coffee table. Designed to fit a full tea or coffee service, this beautifully proportioned and sturdy table is a must for any home. Designed by Jim Lusty circa 1930.